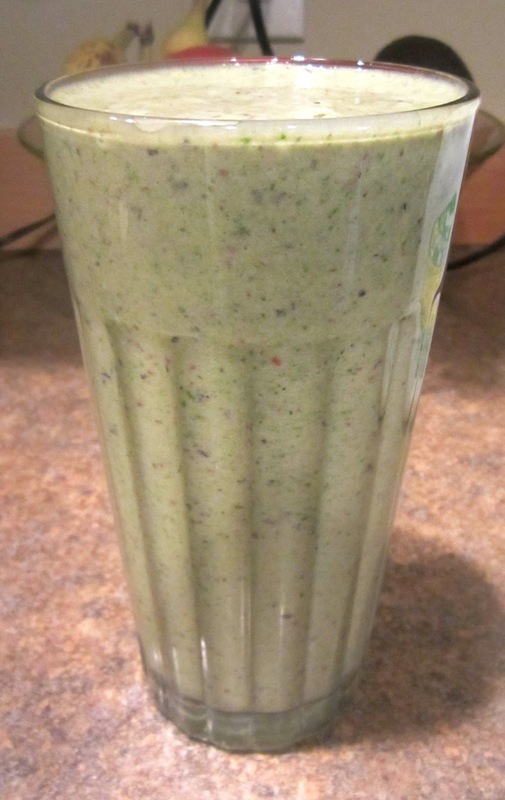 SAM SCHUERMAN: My Latest Obsession: Spinach Smoothie! I have been obsessed with this smoothie lately. Not only is it super filling, it's also delicious and gets you some good old nutrients in your body too :) WOOHOO!!! I have one of these every day and it makes my sweet tooth craving so much better! So if you have cravings for cake and donuts like I do, but don't want to eat them (well you do but try to be good haha)... then try this :) It will make you feel good! If you don't like the taste of peanut butter, then I would suggest leaving it out and maybe adding greek yogurt instead for the protein. Or if you do like peanut butter, add both! Extra protein!!! I just didn't have any. Hope you like this delicious smoothie! Let me know if you do try it ;) I'd love to know how you like it! Sounds good. I am only 5 weeks and 3 days pregnant, and I love my fruit smoothies in the morning. This sounds a lot more filling, and it will be a nice variety. Thanks for sharing Sam! Ps, can u pls follow my pregnancy blog? It's ourpregnancyblograchelandjoe.blogspot.com. I'm addicted to these too!! I freeze my nana a bit so my smoothie is super cold and I use unsweetened almond milk and almond butter.. Mmmm!! !